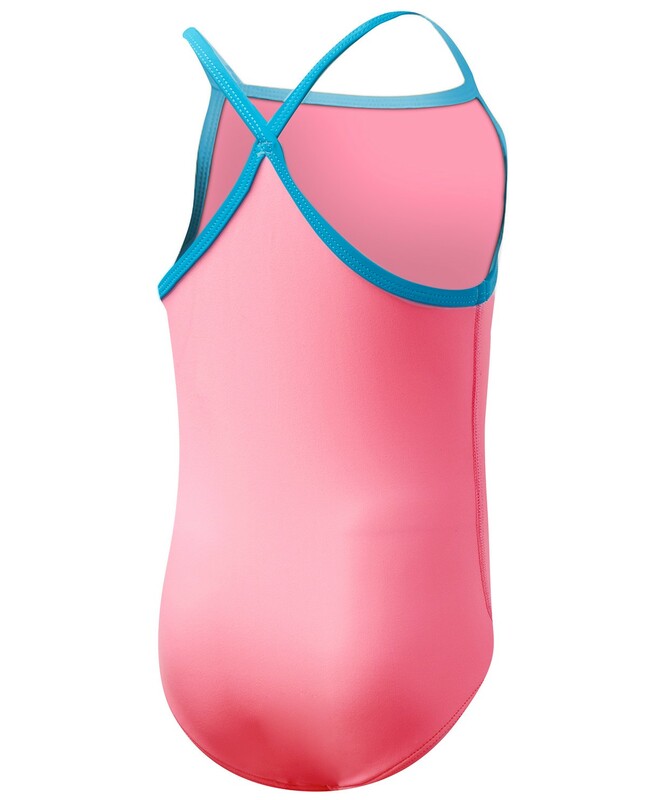 With fun color trim and an awesome pink lining, the Girls' Solid Diamondfit Swimsuit is the perfect choice for poolside play or building sandcastles at your favorite beach. 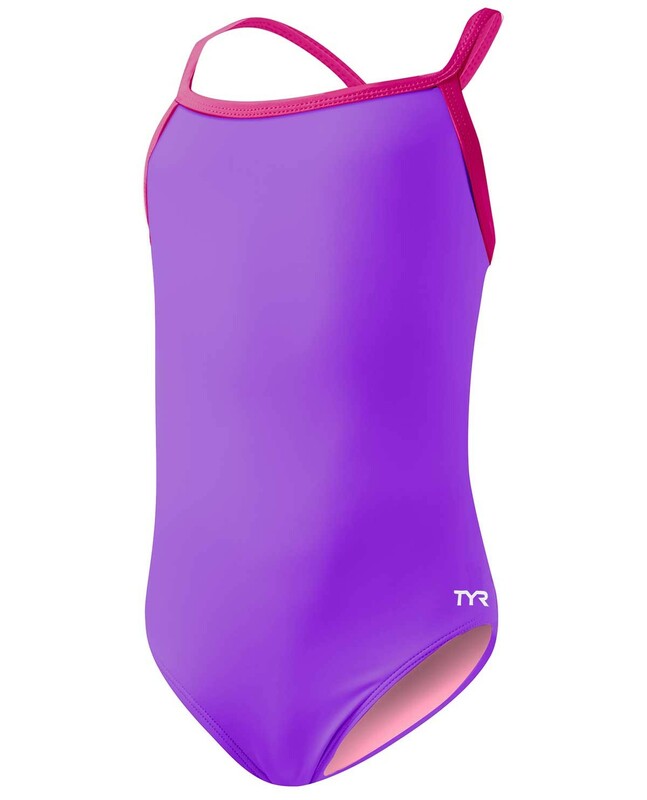 Durafast Lite fabric ensures UPF 50+ protection from the sun, as well as peace of mind for TYR parents, while the tugless fit helps every girl feel like a superstar. 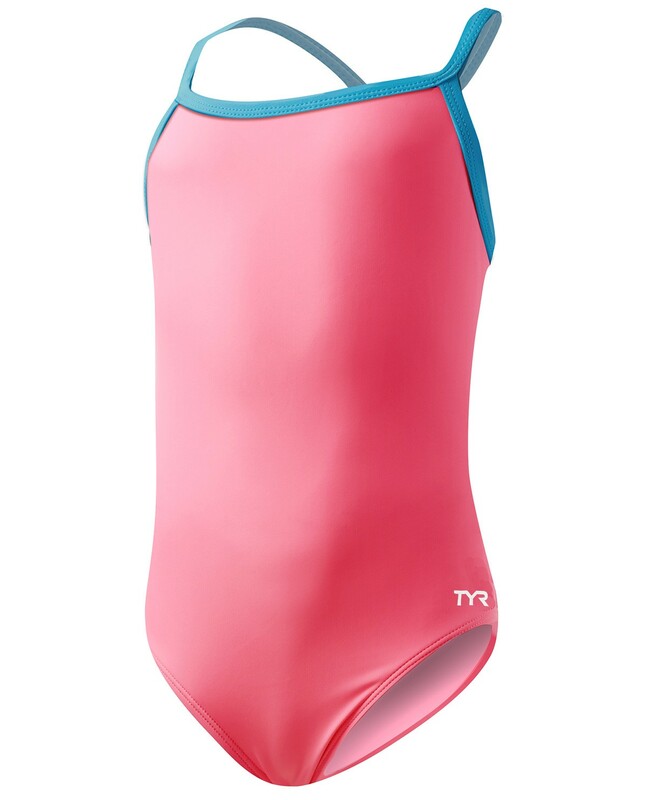 Engineered for the growing swimmer, the long-lasting and fully lined DGSS7Y features a flexible stretch, 200+ hours of performance, 360 degree range of motion and a lightweight feel for unrestricted comfort. This suit was absolutely perfect for my daughter. Fits very well. 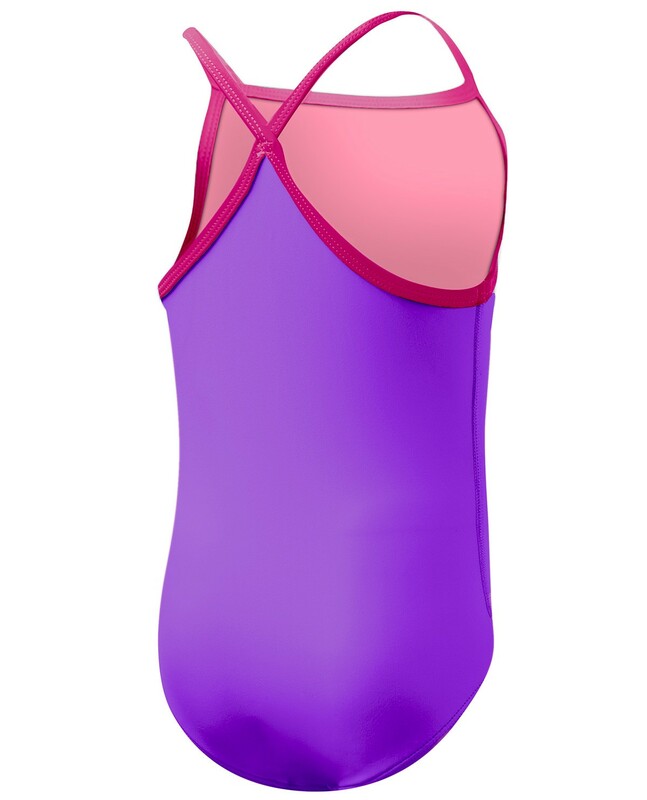 Overall good fit, but a little loose on top (straps could be "tighter"). Daughter loves it, though. Great colors. Used the size chart and ordered 2 suits accordingly. It literally was 1-2 sizes too small .. so annoying to have to return after I used your size chart! A: Thank you for your inquiry. The size guideline is based off age. For example, a 4-5 year old would be size 4/5.